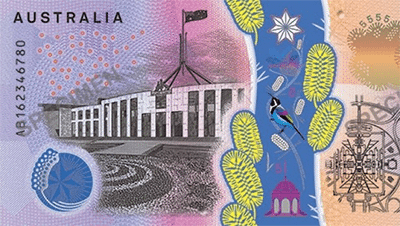 In April 2016, the controversial design of the new Australian $5 bill was revealed. Some were heavily opposed to the new layout, splashed with yellow wattle and a vertically running clear window, while others warmly welcomed the change. Whatever your opinion, the new bill has been approved and will be ready to start circulation in September 2016, with its new features making counterfeit production more difficult, and a tactile function to assist the vision impaired. 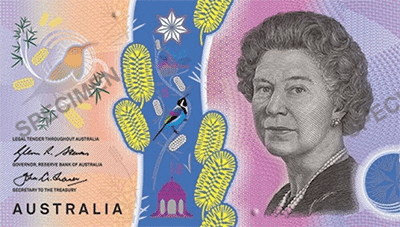 The bad news for Victorians is that the new $5 bill will not be compatible with pokie machines, as the machines are not programmed to recognise the new design. The news was announced in the latest newsletter released by the Victorian Commission for Gambling and Liquor Regulation, stating that while software and hardware updates will be available, there is no regulatory obligations for a venue to make these upgrades. All Victorian pokies venues that don’t upgrade their software will be required to let punters know that the new $5 notes won’t be accepted, with appropriate signage in place. The recommendation is that players exchange their new $5 notes for coins or for the old $5 notes. All sound like too much work? We have a better solution – play the pokies online and avoid all that extra hassle. The last thing you need before heading out to a pokies lounge is to double check that your wallet isn’t filled with the new $5 notes, and then make appropriate measures to hunt down the old ones. When playing pokies online, deposits are made directly from your bank account, credit card, web wallet or pre-paid voucher, so you’ll never have to worry about what notes you have on you. There are plenty of Aussie-friendly casinos on the Web which gladly accept deposits in AUD, so you can skip that trip to the ATM or bank to get your hands on the correct cash. Sign up at a reputable online casino like Royal Vegas Casino, G’day Casino or Slots Million and you’ll also receive some excellent welcome bonuses upon registering, with the venue matching the amount of your first deposit while providing you with free spins. That’s something you’ll never find from a land based pokies venue. With winter now well and truly upon us, playing the pokies online means you can enjoy the convenience of playing from the comfort of your cosy home, rather than venturing out into the cold. Make the switch to online play now and it won’t make a difference when the new $5 bill is circulated later in the year. Want to give the online pokies a go? Sign up at Royal Vegas Casino and claim up to $1200 in matched deposit bonuses spread out over your first four real money deposits.